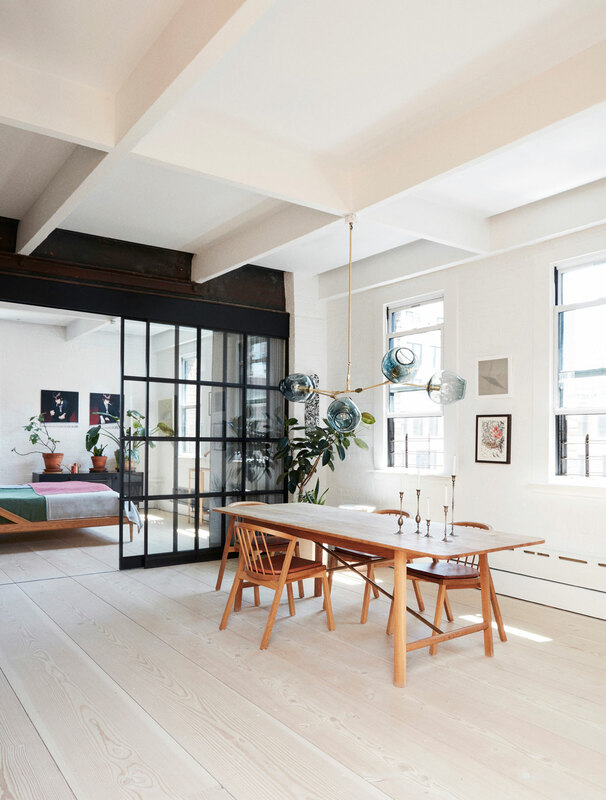 When it comes to renovating a loft, interior designers can’t really go wrong with Scandinavian modernism, especially when we are talking about Søren Rose Studio, a Copenhagen and New York-based, multidisciplinary design studio whose masterfully crafted interiors, products and furnishings combine Scandinavian poise with downtown grit. 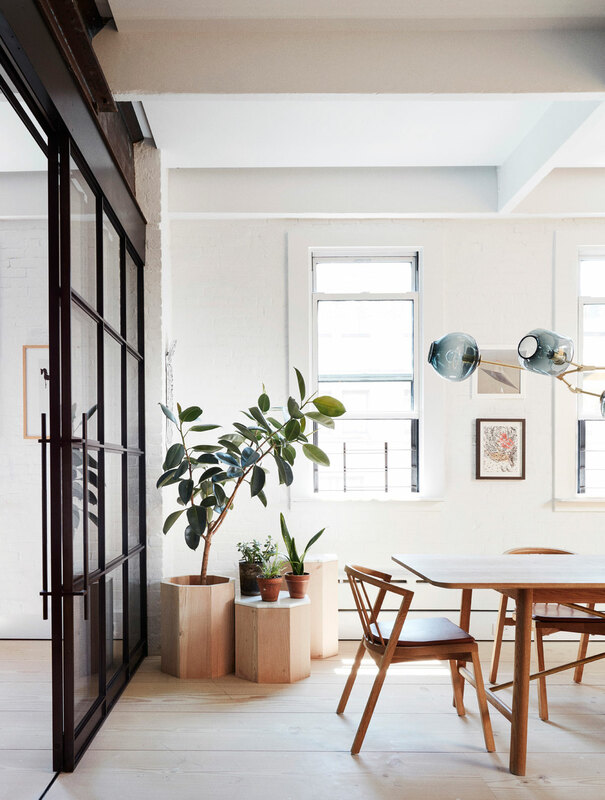 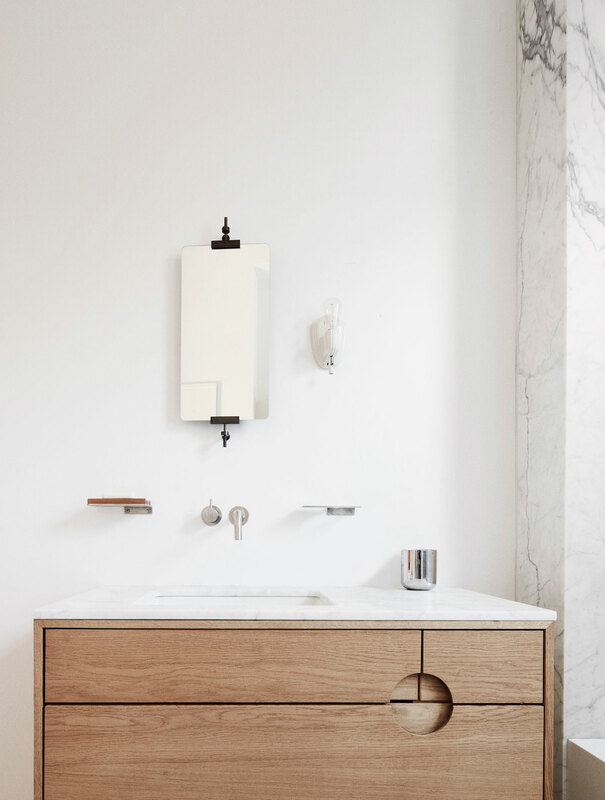 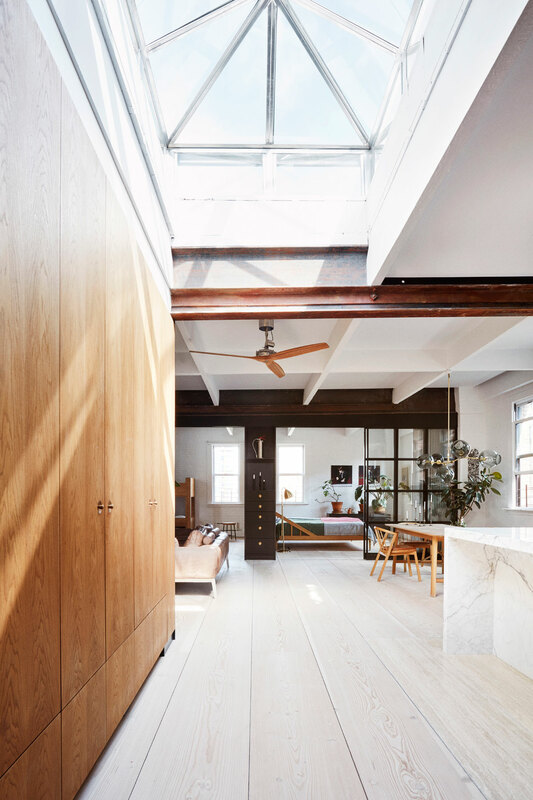 Located in a pre-war building in TriBeCa in New York City and flooded in daylight, courtesy of plenty of windows on three sides and a large central skylight, Hudson Loft was the perfect property to showcase the Studio’s eclectic take on Scandinavian modernism. 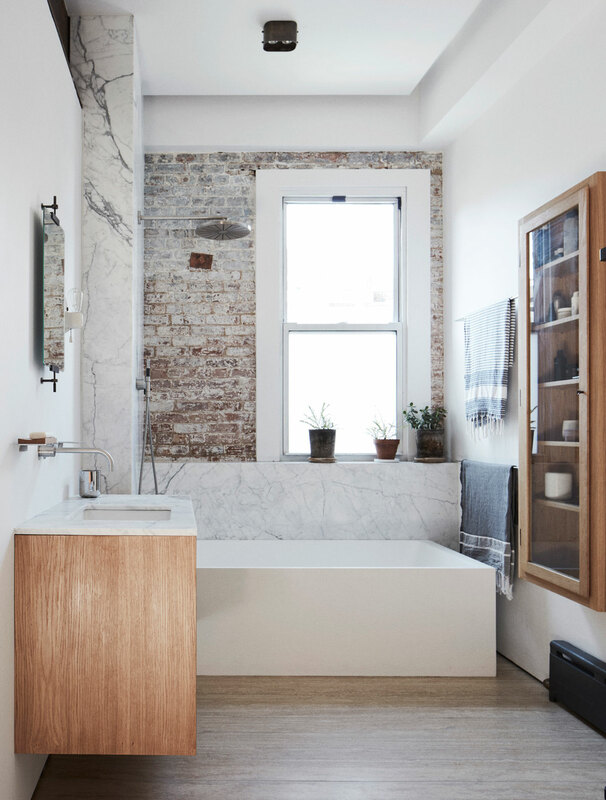 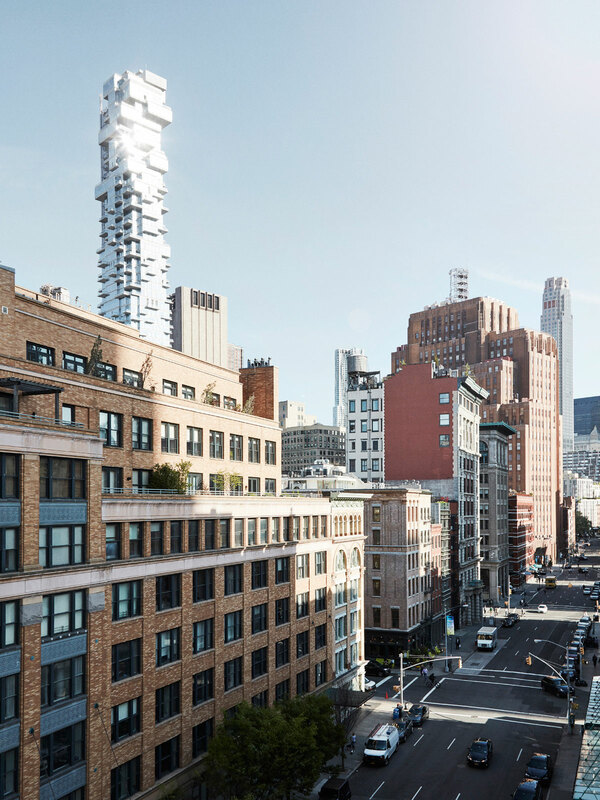 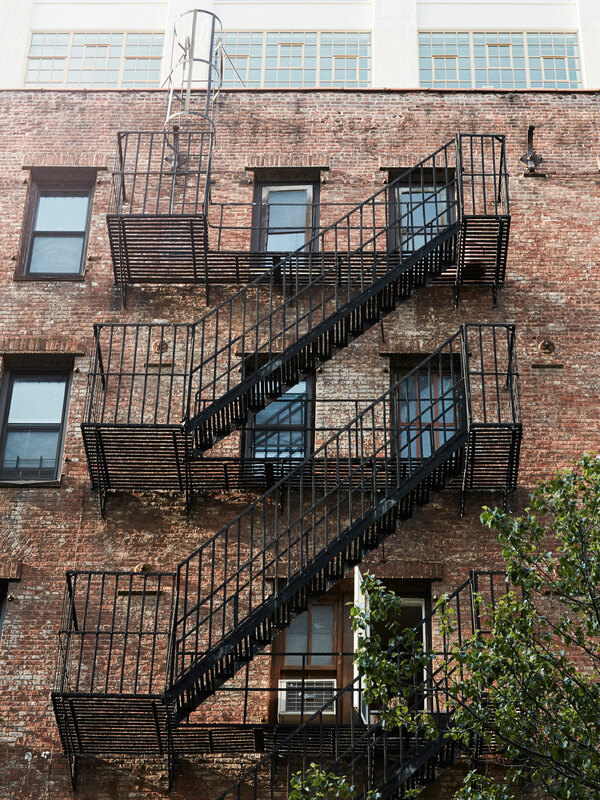 What made this project even more special is the fact that it was one of the rare lofts in the area that hadn’t already been snatched up by some big shot developer, completely gutted and turned into luxury apartments. 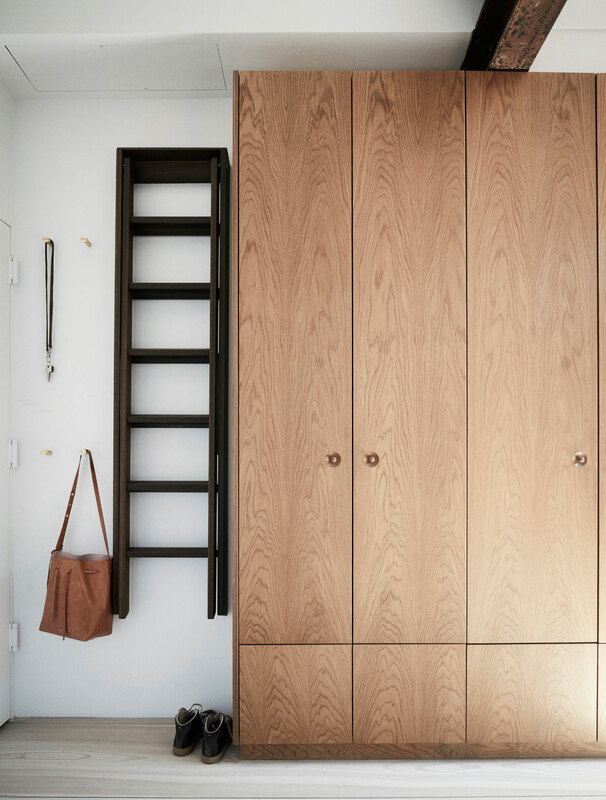 Occupying a modest 130 square metre space that hadn’t been touched for more than 50 years, Søren Rose Studio’ challenge in this project was therefore twofold: to convert the studio apartment into a comfortable home for a family of five, and to renovate the dilapidated interior without effacing its grungy character. 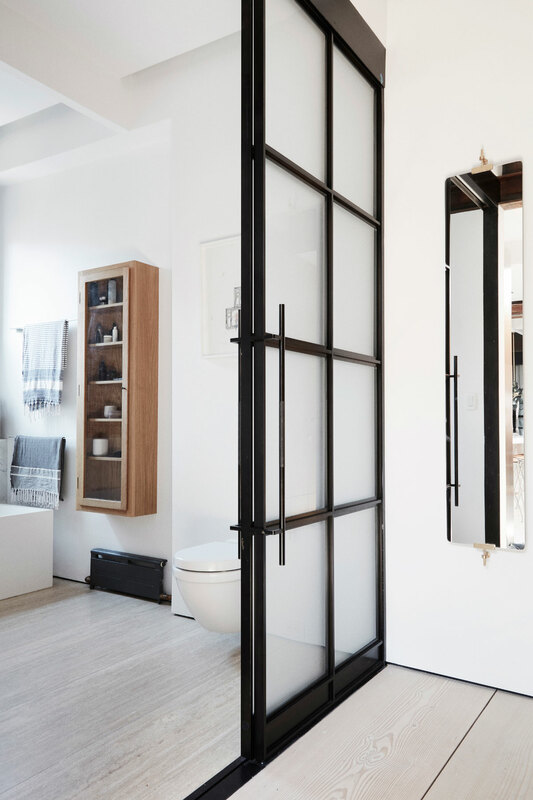 When it came to partitioning the space in order to accommodate the family’s private quarters, the designers cleverly incorporated steel-framed sliding doors with transparent or translucent glazing that allow for privacy without depriving natural light from the central common area or visibly diminishing its size. 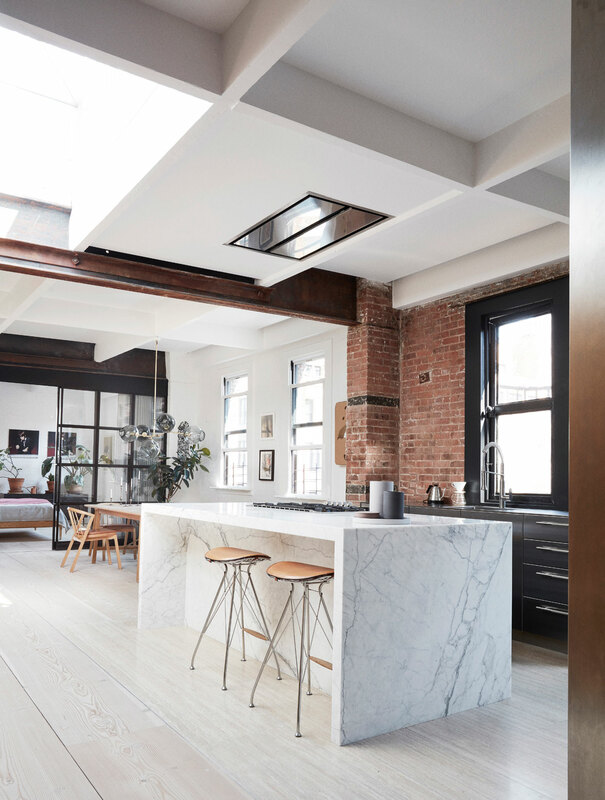 Aesthetically, the steel-framed doors perfectly complement the exposed brickwork and visible steel beams, part of the original building fabric that the designers have purposefully brought to light. 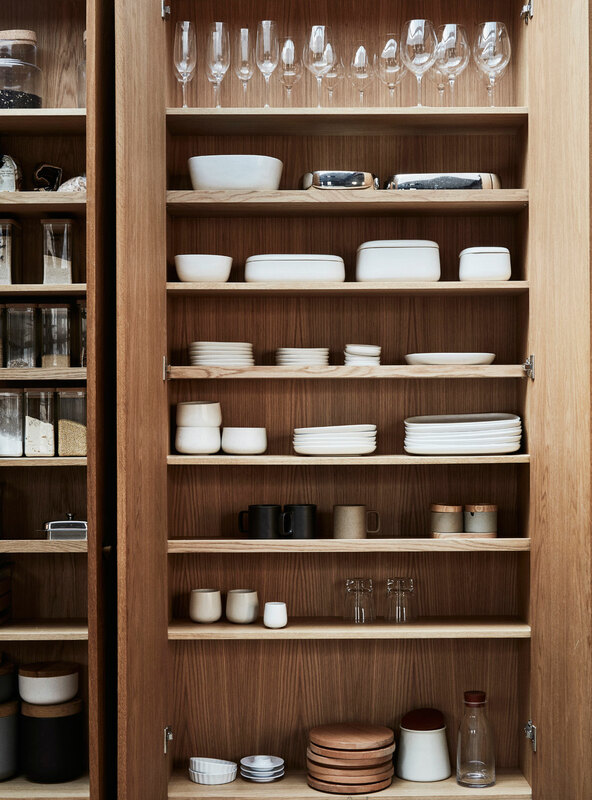 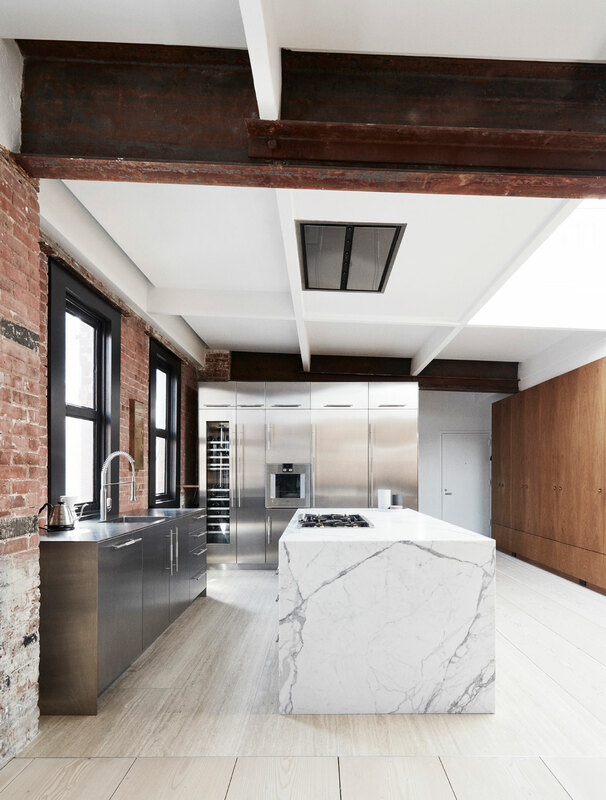 The industrial sensibility of these elements is harmoniously counterbalanced by more refined features such as the stunning marble kitchen island, the minimalist timber cupboards, and the gleaming stainless steel cabinets. 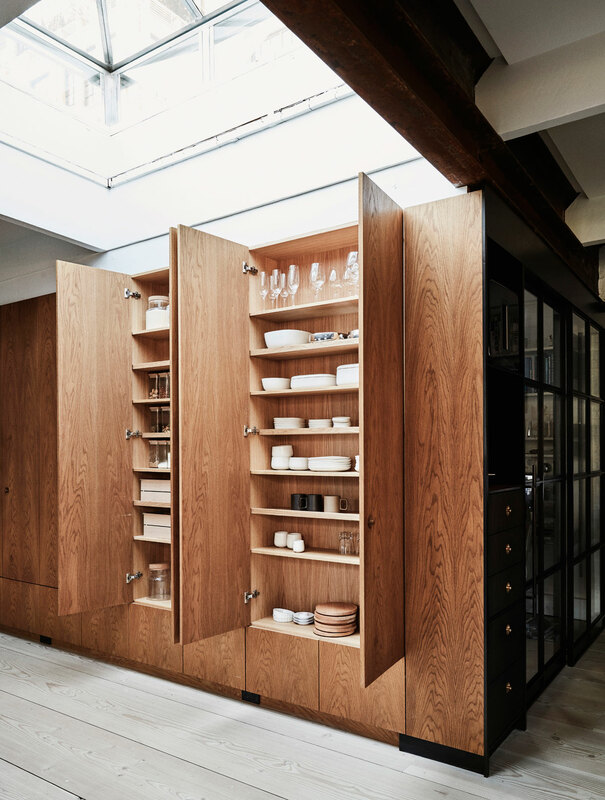 Featuring impressively wide timber floorboards and furnished with an eclectic selection of bespoke pieces made from different types of timber, the interior design is a tribute to Scandinavian pureness jazzed up by the grittiness of the building’s industrial heritage. 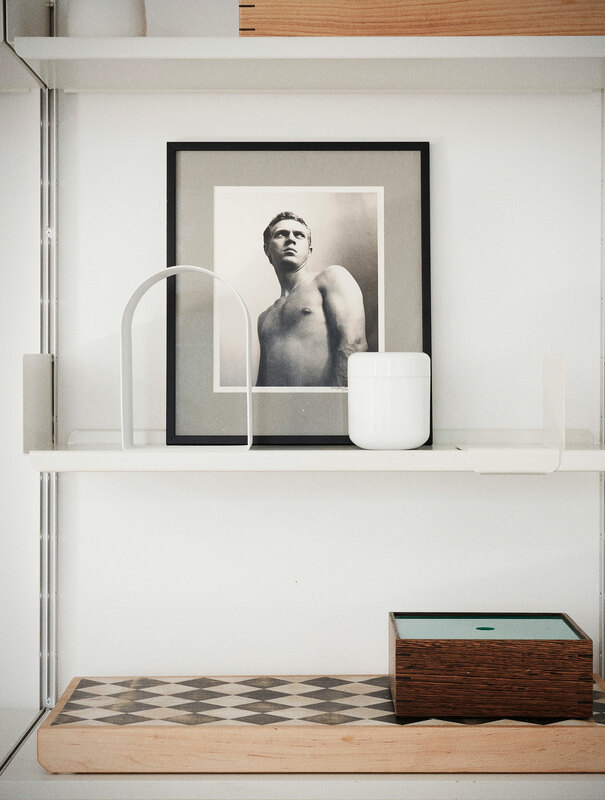 Exemplifying the Studio’s Copenhagen and New York dual offices, this intriguing juxtaposition is further evocatively conveyed by the two sole photographic subjects amongst the loft’s art collection: the sleek, understated and ever-cool Steve McQueen and the rugged, party-going Keith Richards.